Iran has difficult road to reform never mind democracy …..Second Round of Election For Majles ( Parliament ) in Iran ….Khamenei , Sepah , Basij and their fundamentalists thugs brings tension and clashes during second round of election campaign , This clashes happened in Tabriz University between pro-moderate ( Zahra Saei - a moderate woman candidate ) and fundamentalists forces ……. 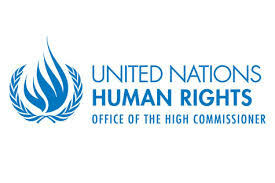 GENEVA (27 April 2016) – A group of United Nations human rights experts* today warned that over a dozen political prisoners in Iran, including some prominent human rights defenders, lawyers and political activists, are at risk of death in detention due to their worsening health conditions and the continued refusal by the Iranian authorities to provide them with medical treatment. 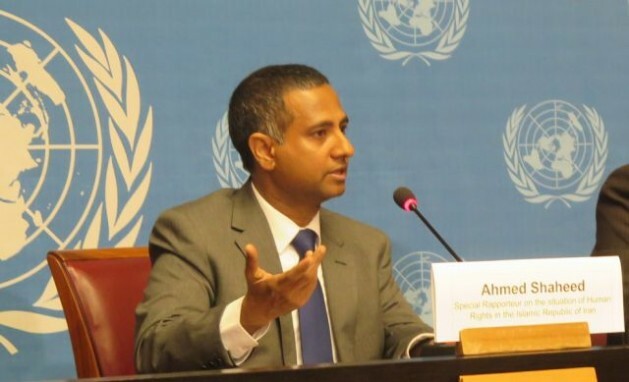 “The condition of several prisoners of conscience with serious health problems has been exacerbated by their continued detention and by repeated refusals to allow their access to the medical facilities and treatment they so urgently require,” the experts said. Mr. Kokabee was arrested in January 2011 upon his return from studies in the United States and is currently serving a ten-year prison sentence for his alleged ‘connections with a hostile government’. He was diagnosed with kidney cancer and recently underwent surgery to remove his right kidney, a procedure that could have been avoided, had he been provided with adequate and timely access to proper treatment at an earlier stage. When the care is ultimately provided, as Mr Kokabee’s case, patients are often transferred to and from prisons chained to their beds. “We urge the authorities to consider the release of Mr Kokabee and other political prisoners on medical or humanitarian grounds and to ensure their well-being by facilitating regular access to medical care,” they said. The human rights experts reminded the Iranian Government of its obligations under international standards to respect the prisoners’ right to health and to ensure their humane treatment. “Failure to provide adequate medical care to prisoners is in breach of Iran’s international human rights obligations and domestic standards,” they underscored. 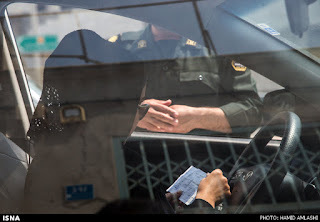 “We have repeatedly drawn the attention of the Iranian authorities to allegations related to the denial of access to medical care and to substandard conditions of detention and urged them to embark on a more comprehensive prison reform. We regret that the Government has so far failed to properly investigate these allegations and take the necessary measures,” the human rights experts concluded. (*) The experts: Mr. Ahmed Shaheed, UN Special Rapporteur on the situation of human rights in the Islamic Republic of Iran; Mr. Dainius Pūras, UN Special Rapporteur on the right of everyone to the enjoyment of the highest attainable standard of physical and mental health; Mr. Juan E. Méndez, UN Special Rapporteur on torture and other cruel, inhuman or degrading treatment or punishment;Mr. Maina Kiai, UN Special Rapporteur on the rights to freedom of peaceful assembly and of association; and Mr. Seong-Phil Hong, Chair-Rapporteur of the UN Working Group on Arbitrary Detention. 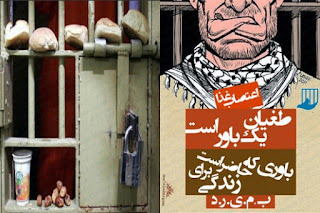 14 Political And Security Prisoners on Hunger Strike Inside Islamic Regime Prisons……. According to news 14 Political prisoners are on hunger strike inside regimes prisons. 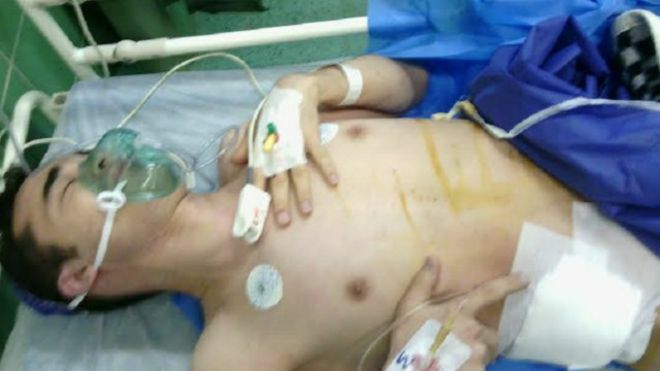 1- Afshin Sohrabzadeh - He is a Kurdish political prisoner need immediate medical attention - he is diagnosed with intestine cancer - He is sentenced to 25 years imprisonment and is currently in Minab prison. He sewed his lips and is on hunger strike……. 3-Saeed Pourheydari- He was arrested after returning to Iran from abroad . He is currently in Evin prison . He is accused of " online activities and propaganda against the regime " and insulting the leader. He is sentenced to five years imprisonment. 4-Saeed Shirzad - Is a left wing political activist - currently in ward 12 at Rejaei Shahr prison - he is an activist who helped the street kids and working kids . 5-Afshin Bayemani - Is sentenced to death but later the sentencing reduced to life imprisonment . He is in Rejaei Shahr prison . he is accused of helping his brother Mehdi Bayemani to scape prison . he is currently under a ward run by sepah . 7- Farid Azemoudeh - A security prisoner - sentenced to five years imprisonment. 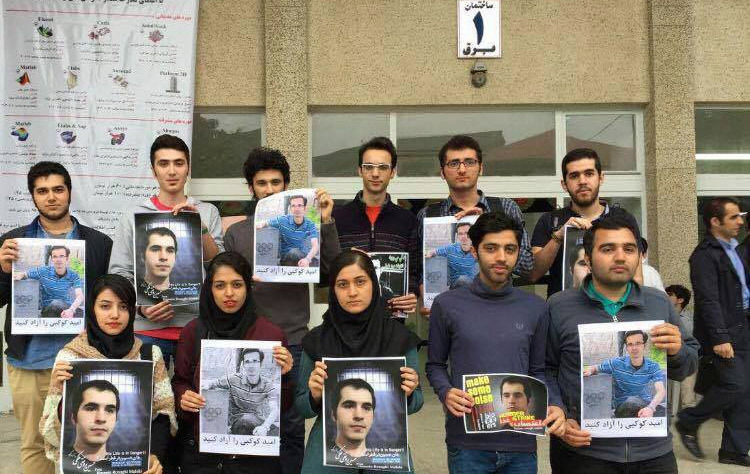 he is currently in ward number 12 of the Rejaei Shahr prison . 10- Masoud Arab - Coubdar - Security prisoner at ward 12 in Rejaei Shahr - Karaj prison. He is in prison since three years ago. 11- Sahar Elyasi - She is a women soccer coach . 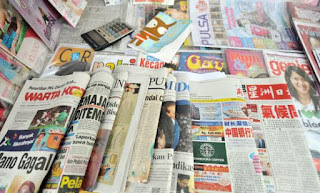 she is arrested together with three other colleagues and she is also a online social activist. She is in prison since Oct. last year. 12- Mahmoud Beheshti Langroudi - He is a teacher and syndicalist . he is arrested last year at his home by security forces. 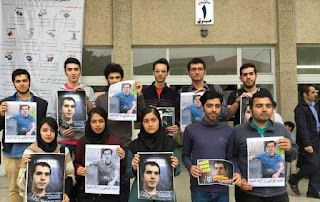 IRAN WATCH CANADA: There is no end to the cruelty of the Islamic regime in Iran …..
Omid Kokabi was the High IQ student of Atomic Physics at Sharif University in Tehran . He also ranked number one in entrance examination at Sharif University. Omid has received award in Olympiad on Atomic physics . Omid was student at University of Texas for higher education in Phd. Atomic physics when in 2011 decided to go to Iran to visit his family . 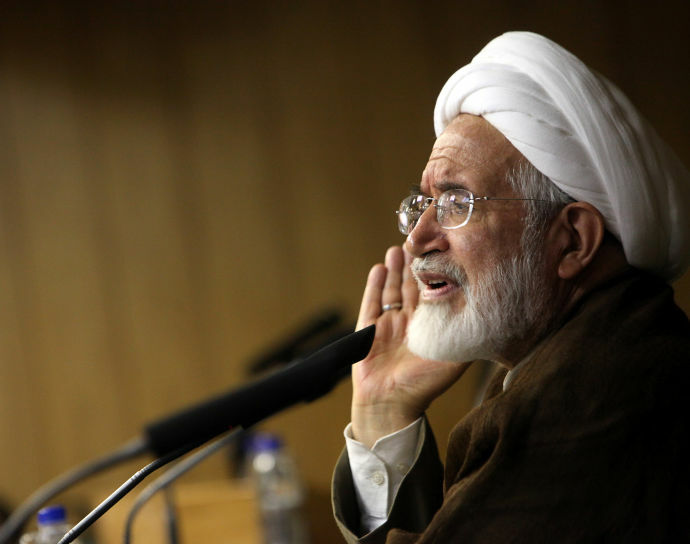 When at Imam Khomini's airport ,he was arrested by security forces , he was detained and the court headed by judge Salavati sentenced him to 10 years imprisonment . He was accused of collaboration with hostile countries . 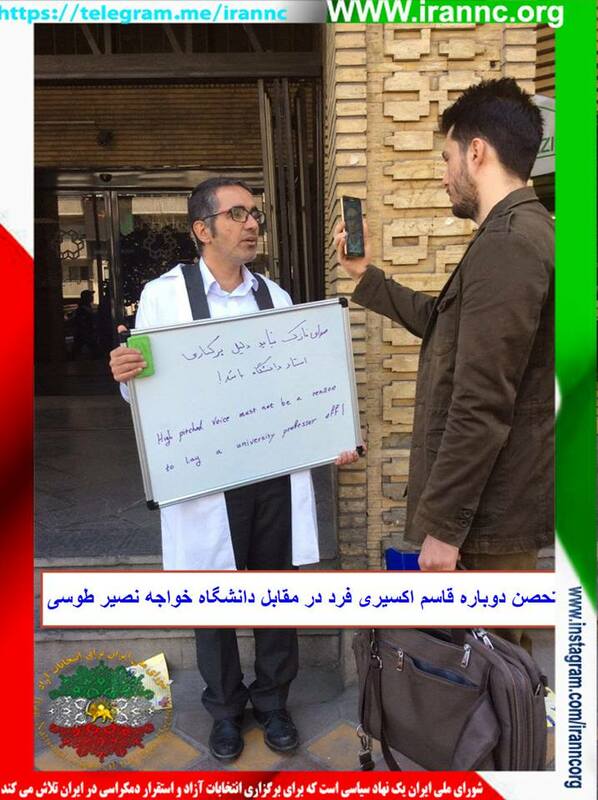 Omid became ill during last five years imprisonment and he suffered kidney bleeding and diagnosed with kidney cancer . Recently in a surgery his right kidney was removed and the doctors warned that he needs continues treatment . 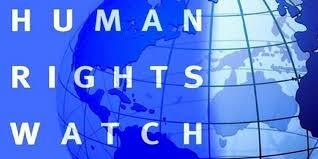 Shame on Despotic Islamic regime in Iran treating its citizen with a high profile like a criminal. 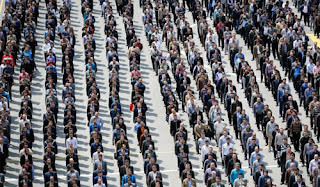 Read from both websites and learn more about the Iranian Trans Genders ………. The imprisoned Iranian Trans Gender are kept in phase one of the 4th floor of ward number 240 of the Evin prison in an inhuman condition. They are kept in solitary without using the phone , prison vendor and no fresh air . More or less 10 -12 people are kept in this ward and the prison guards and officials treat the prisoners in degrading and inhuman manner. Mrs. Shahindokht Molaverdi President's Advisor To Women and Family Issues : A Wave Of Anxiety and Fear for Safety and security Has Occupied The Society And Families' Mind…..
On Last Tuesday regime's police chief Commander Hossein Sajedinia has announced that, more than 7000 invisible police will watch Iranian people in the city and report about them or their plate numbers to a central station if they violate the Hijab and have immoral conduct , or are walking with a dogs and even if they do not follow the hijab code of conduct in their cars and this plan also includes men for improper dress code and ….……..
Mrs. Molaverdi said ; This plan has created a wave of panic among families and society to fear about the safety and security of their family members and are worried if their family members are late from coming home. She said; the Government is going to discuss about this plan in their future session . 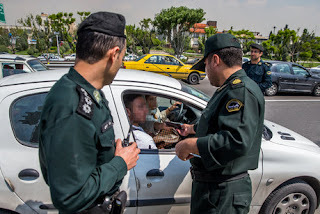 IRAN WATCH CANADA: Islamic regime in Iran is so afraid of its people for surprise uprising and therefore creates so many kinds of police force visible or invisible ……Now …does Islamic regime coming to its end ?……What makes them to be so afraid of its people ?…………….. Animal Farm……..All people are created equal but some are lords ……Napoleon, …….Boxer and clover…..The beasts of England Song……. Free Omid # Tweet ….Was ranked number three or four , just behind Q. E's Birthday and the News about the Death of Supper Star Prince …. Omid is a young Scientist ……. 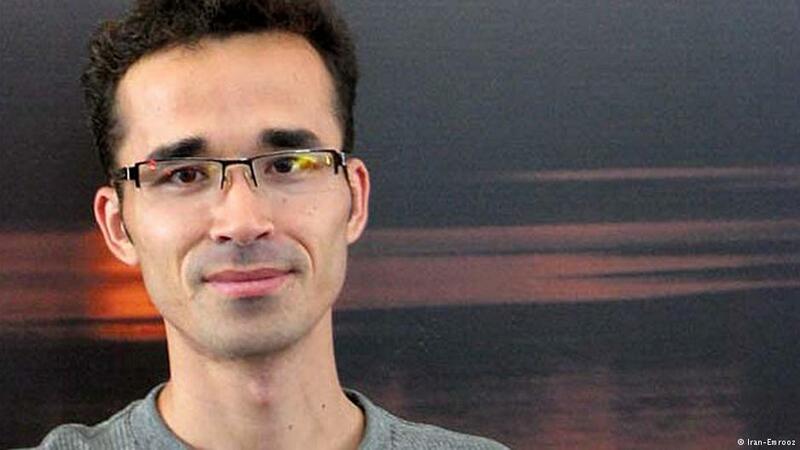 Omid Kokabi is an imprisoned Iranian physicist and a phd. 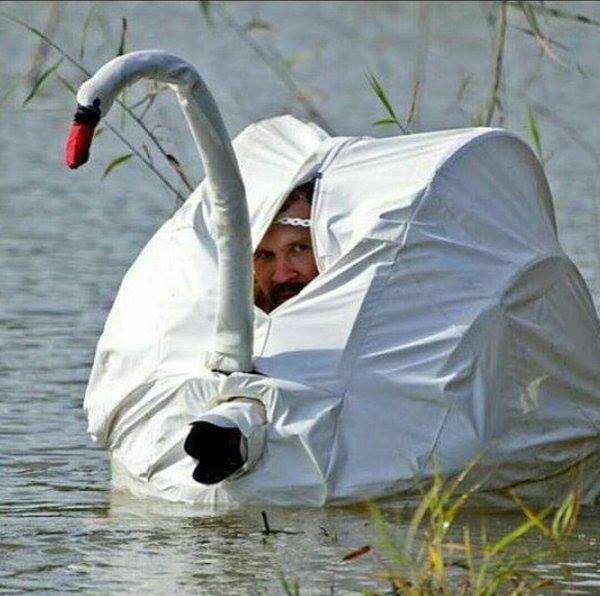 degree student in US when six years ago decided to visit his family in Tehran- Iran. 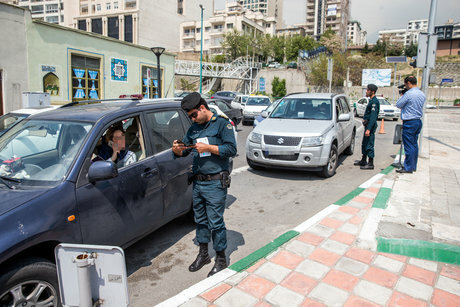 While in Iran, after visiting the office of the deputy of Atomic energy organization and saying no to their request for collaboration , he was arrested by regime's security forces when he was returning to US and spent 36 days in solitary confinement and months in prison without trial until he was sentenced to 10 years imprisonment for alleged charges of collaboration with enemy governments and earning unlawful incomes . 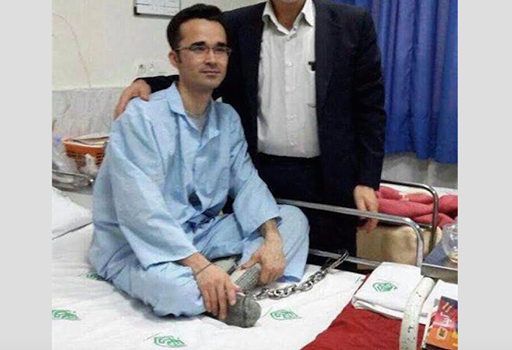 Omid , his lawyer and family believes the reason he is in jail is because he said NO to collaboration with regime. While in prison he became sick from kidney and was bleeding from this illness , doctors believed he had kidney stone and prison official wouldn't let him leave the prison for treatment up until recently he was diagnosed with cancerous tumour in his kidney and the surgeon in an operation removed his right kidney. Doctors warned that if he is to return to prison his life will be in danger. Omid is not a political person and during the 2009 green movement he wasn't in Iran, so, regime can't accuse him with political activities. The only reason he is in prison is because he said no to the collaboration with regime , that's all. Omid Kokabi believes that the scientists should not join activities that are harmful to human . 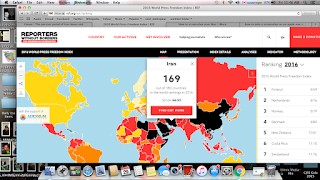 Seen as a benchmark throughout the world, the Index ranks 180 countries according to the freedom allowed journalists. It also includes indicators of the level of media freedom violations in each region. These show that Europe (with 19.8 points) still has the freest media, followed distantly by Africa (36.9), which for the first time overtook the Americas (37.1), a region where violence against journalists is on the rise. 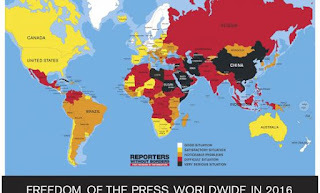 Asia (43.8) and Eastern Europe/Central Asia (48.4) follow, while North Africa/Middle East (50.8) is still the region where journalists are most subjected to constraints of every kind. The countries that fell farthest include Poland (47th, down 29), where the ultra-conservative government seized control of the public media, and (much farther down) Tajikistan, which plunged 34 places to 150th as a result of the regime’s growing authoritarianism. The Sultanate of Brunei (155th, down 34) suffered a similar fall because gradual introduction of the Sharia and threats of blasphemy charges have fuelled self-censorship. Burundi (156th, down 11) fell because of the violence against journalists resulting from President Pierre Nkurunziza’s contested reelection for a third term. The same “infernal trio” are in the last three positions: Turkmenistan (178th), North Korea (179th) and Eritrea (180th). 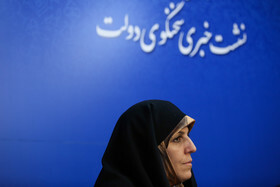 Karroubi accused Iran’s pernicious deep state—including the Revolutionary Guards, the paramilitary Basij, and the Intelligence Ministry—of “trampling” on human rights. Government officials had squandered seven hundred billion dollars in revenues, transferred billions to accounts in Dubai and Turkey, and “pushed the country to the edge of a precipice while the people were impoverished and helpless,” he wrote. 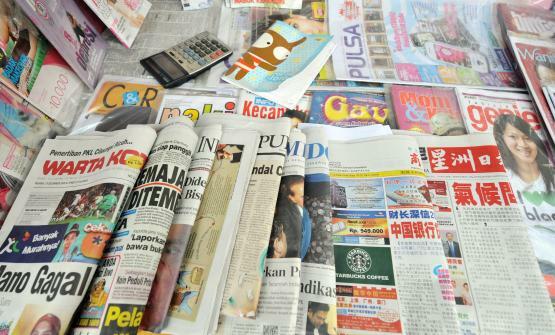 The Guardian Council had become “a tool” that “defames respectable people and violates people’s rights to ensure that one tendency wins and others are eliminated." “President Obama’s trip offers a crucial opportunity for him to demonstrate a principled commitment to human rights and prove to the world that the US government will not sacrifice human rights in favour of US geopolitical and business interests,” said James Lynch, Deputy Director of Amnesty International’s Middle East and North Africa Programme. “This visit will be a key test of President Obama’s willingness to challenge GCC states over a catalogue of human rights violations including discrimination against women and minorities, arbitrary arrests and grossly unfair trials to stifle dissent in the name of national security, use of the death penalty, the exploitation and abuse of migrant workers and a growing intolerance of peaceful expression and the use of counter-terrorism and cyber-crime laws. 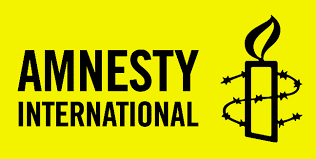 The open letter names more than 40 prisoners of conscience in Bahrain, Kuwait, Oman, Saudi Arabia and the United Arab Emirates who are currently behind bars solely for peacefully exercising their right to freedom of expression. The visit also throws the spotlight on the USA’s own role in the recent conflict in Yemen, in which more than 3,000 civilians have been killed and more than 2.8 million people displaced. “For the past year, the USA has stoked the flames of the conflict in Yemen by continuing to supply weapons to Saudi Arabia despite strong evidence that the military coalition it is leading has committed widespread violations including possible war crimes,” said James Lynch. 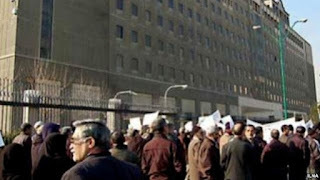 According to ILNA news , more than 500 Iranian retired steel industry employees from all over Iran staged a day of protest on Monday in front of the parliament for delay in their monthly payment. These employees also staged a day of protest on Sunday in front of Majlis ( Parliament ) to bring their problems into the attention of MP's and the Government. 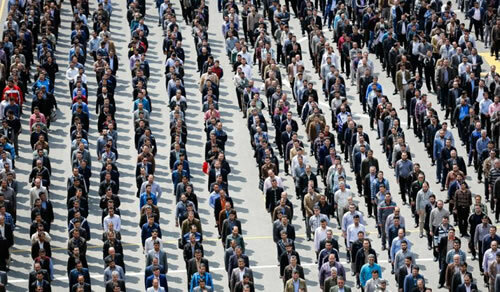 At present 60% of the retirees in Iran receive minimum payment which is not enough for their daily medical and other expenses. According to news coming from Iran, the Islamic judiciary sentenced Taher Ghaderzadeh the Iranian -Kurdish teacher ,member of the Iranian teachers union to 91 days in prison term for just demanding and fighting for the rights of teachers . 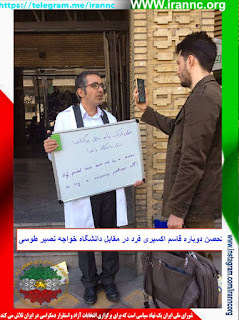 In this regard "The Coordinating Council of the Teachers Syndicate Organization " from all over the country and Iranian teachers union released a statement and protested to the sentencing and demanded Taher Ghaderzadeh be released immediately and the statement says, their colleagues have been wrongly accused and called the sentence as unjust and must be withdrawn . Patrol Officers Started Their " Hijab Code Of Conduct " In Cities And Major High Ways From Today …..
Once again the " moral Patrol officers" with an order from judiciary power and ministry of Guidance started their patrol in cities and major high ways for " hijab code of conduct " . The officers also stops those who have dogs in their car or walk in streets with their dogs . The officers not only stop women who are driving cars and not having their hijab , they would also stop men for not having the suitable dress code . 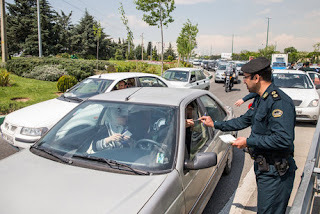 IRAN WATCH CANADA: Since the warm season is approaching , following the " hijab dress code" by young Iranian women would be difficult for officers to control and we would see again video's coming out and showing commotion between young Iranian women and officers in the streets during their arrest . According to recent news , Mr. Ghasem Aksirifard a Phd. 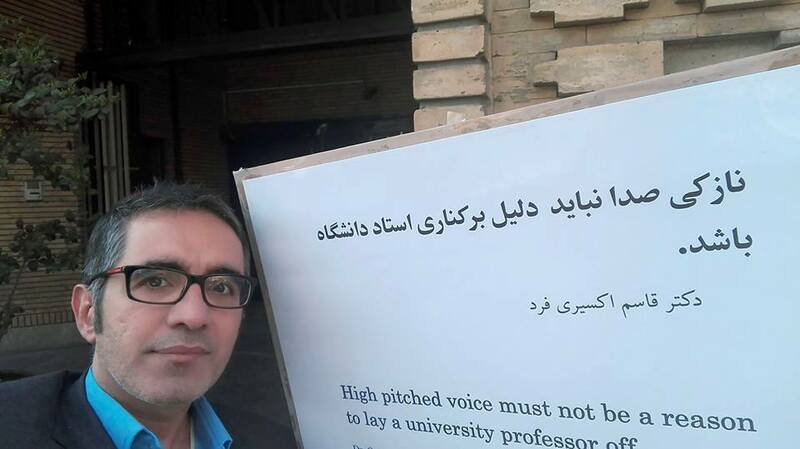 professor of physics in Khajeh Nasir Tousi's university is laid off due to his natural , mother borne high pitched voice. 430 university students in a petition demanded for his stay and even the students said; they would boycott the classes. Mr. Aksirifard was a high IQ student and number one in olympiad in physics and received many award in his field . Mr. Aksirifard was teaching at the university since three years ago. Mr. Aksirifard is protesting in front of " Khajeh Nasir Tousi University" against the decision by university and demands he be returned to his teaching .